1- The management of moderate to severe chronic pain unresponsive to non-narcotic analgesia. The naloxone component in a fixed combination with oxycodone is indicated for the therapy and/or prophylaxis of opioid-induced constipation.,2- Second line symptomatic treatment of patients with severe to very severe idiopathic restless legs syndrome after failure of dopaminergic therapy,The management of moderate to severe chronic pain unresponsive to non-narcotic analgesia. The naloxone component in a fixed combination with oxycodone is indicated for the therapy and/or prophylaxis of opioid-induced constipation. 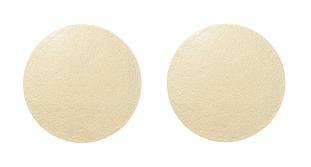 Light yellow, round shaped tablet without embossing.